I am home, safe, warm, and sick. Well, okay, I'm recovering from being sick. And I was suddenly faced with 2 weeks of time that I had not previously had at my disposal. Found time, as it were. After my little adventure in Vancouver, I flew home to -35 degree temperatures and a fabulous head cold that laid me flat out for three or four days. Then, just as I was feeling better, that nasty little virus came back for another swing at me. I did little to nothing for my first week of found time, except for sleep. I have, however, been checking my emails and Facebook, and I do have to send warm thanks to everyone who wrote or checked-in. Your support and understanding has been amazing, and I know that things will work out in the end. 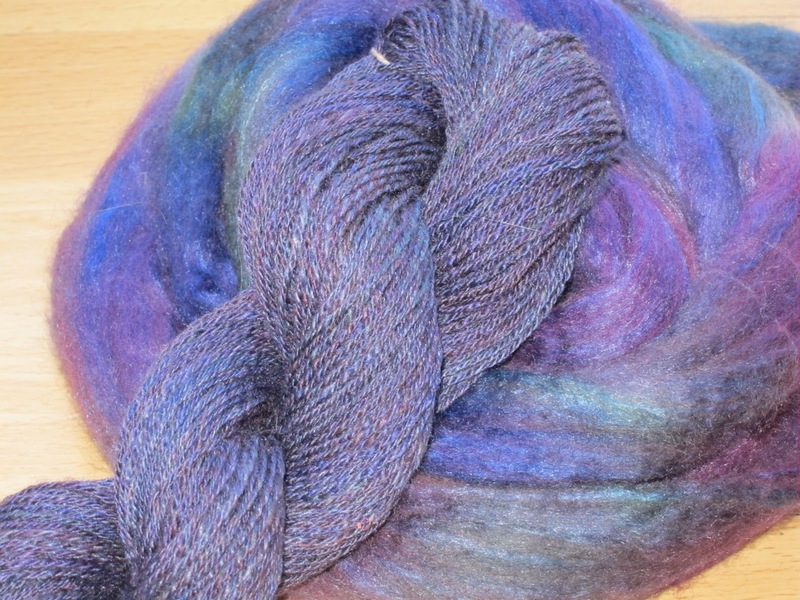 I am up and about again, and as my sinuses dry up, I have been spinning. ...3-ply BFL/silk blend, 6 tpi, and 18 wpi. 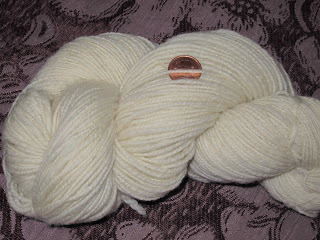 It is being knit into a lacy sock that plays with the almost luminescent quality of the yarn. ...2-ply, 5 tpi, 20 wpi, and as cushy and as soft as you would expect from the blend of lovely soft things that went into it. ...2-ply, 5 tpi, 12 wpi, cushy and soft, too. 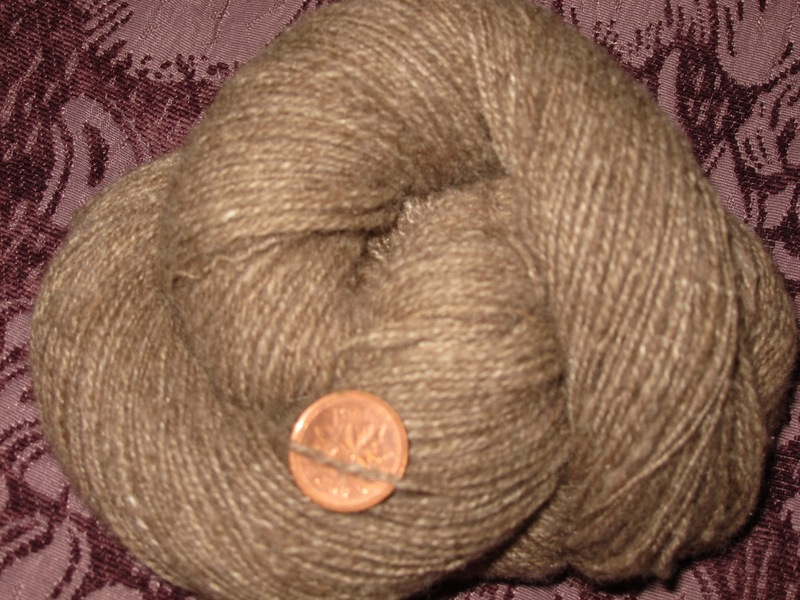 There is now some baby alpaca/silk/cashmere on the wheel, because once I started spinning I didn't want to stop! 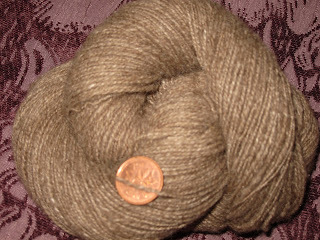 Except, of course, to cast on a second lace shawl. Because one set of insane little charts is not quite enough to drive me mad. Actually, the aforementioned Sarah Wilson asked me a simple question about Swallowtail, and I had to cast it on to work the answer through...and I just kept going. I haven't just sat and spun for ages, let alone knit not one, but two shawls. It's a good thing I found all this time laying around. Better use it up quick before someone else comes along and claims it. Ah! All the smooshy deliciousness! That blend from Ancient Arts looks like the stuff dreams and fairytales are made of. I would make chicken soup for you if I lived nearer. The yarns are gorgeous (of course)...that cormo is to die for!!! !